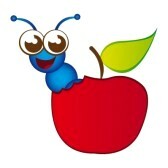 Website under construction while my team of caterpillars upload some new media. For now you can view my acts available, message me through the contact page or find out where I'll be performing next. Other pages may look a tad bare for now. Why not visit my Facebook page? Or, follow me on Twitter?